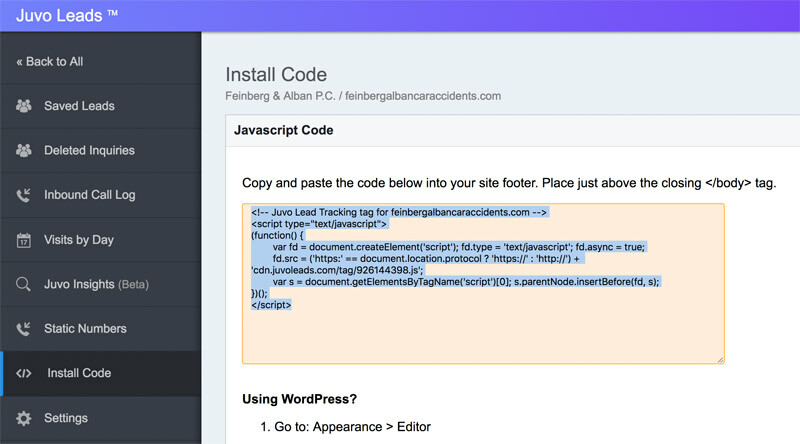 This quick screen share will show you how to setup call tracking on your website. We’re going to use a law firm website as an example for this demonstration. You’ll notice that their phone number is in the top right corner of their website. 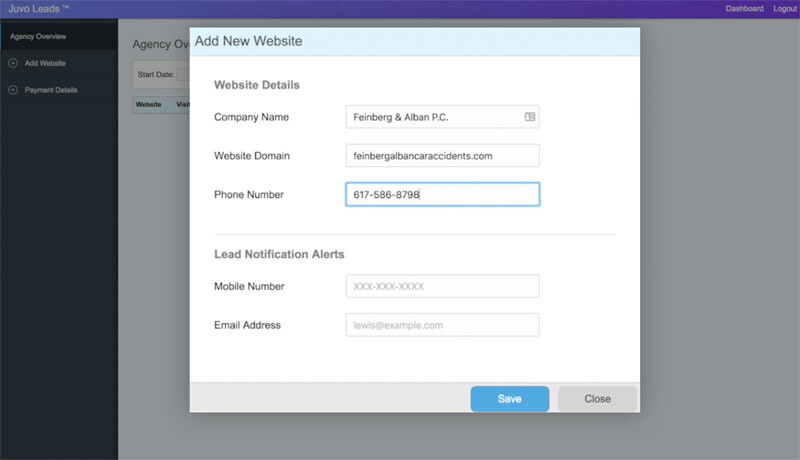 By setting up call tracking, we’ll be able to know exactly which website visitor called the business. We’ll do this by swapping this number out dynamically with a unique number for every website visitor. 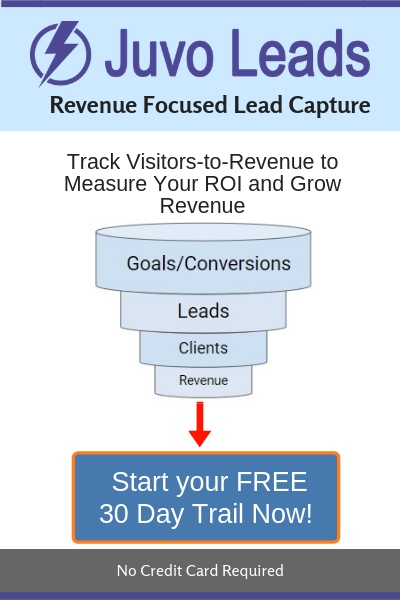 To get started, head over to juvoleads.com/signup and create your free agency account. Next go ahead and add your first website, be sure to include the company name, website domain, and phone number listed on the website. 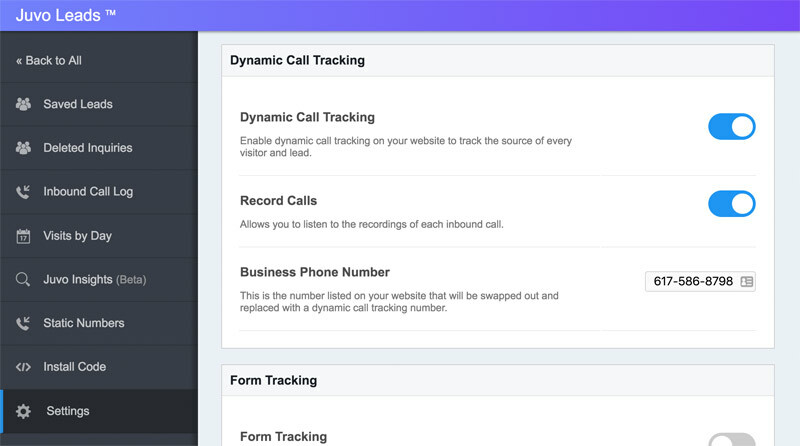 One more step and we’re done – head over to the settings page, scroll down to the section labeled “Dynamic Call Tracking” and turn on “Dynamic Call Tracking” and optionally turn on “Record Calls”. Then scroll to the bottom and click save changes. Alright, you’re done! Let’s head over to your website again, refresh the page, and take a look at the phone number. You should see that the number gets swapped out with a new dynamic call tracking number. 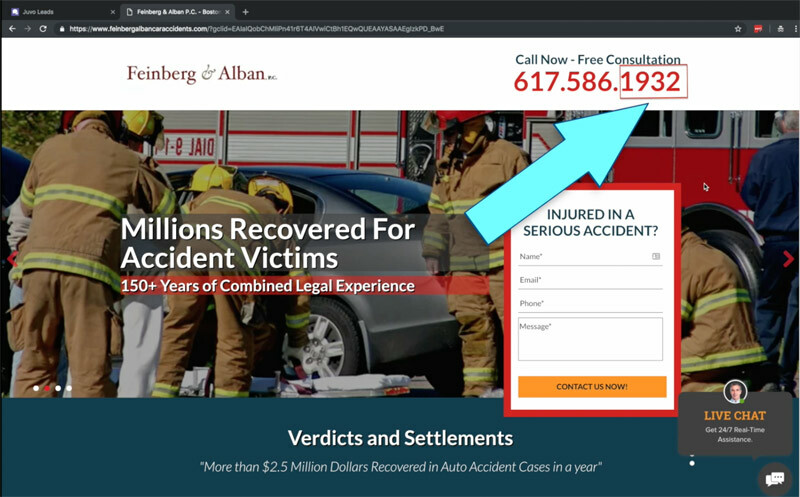 Every website visitor that now comes to your website will see their very own unique number. If they call that number, we’ll be able to know exactly how they found your website. Here’s a look at your website after a few days worth of traffic and data being collected. 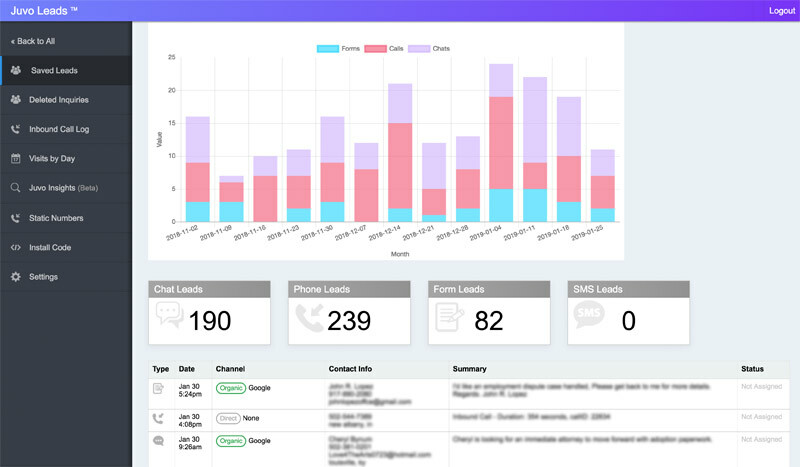 You can see a number of phone calls have come in, you can drill in and view more details on the source of every website visitor and where they came from before making a phone call. You can even see call recordings and play those as well. If you have any questions or need help getting this setup, please feel free to reach out to us. You can chat with our chat agent in the bottom right corner of the screen. Thanks a lot and hope you found this tutorial helpful!